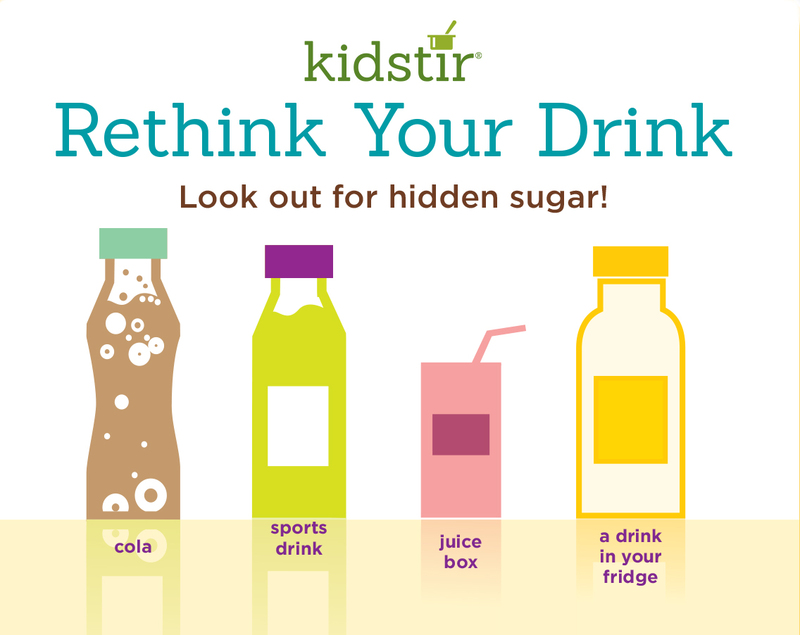 Before you grab a bottled drink, look out for hidden sugar on the label. The more sugar you drink, the less hungry you’ll be for good foods (like veggies, protein, and whole grains). Look at the typical amount of sugar in the drinks below. Color one spoon for every teaspoon. Then check the labels of other drinks. You’ll find that content varies by flavor, ingredients, brands, and serving size!